Welcome Stephen Gaynor School Alumni! 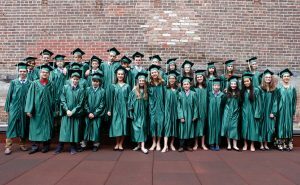 Being a part of the Gaynor Alumni Network means that no matter how many years you spent at Gaynor, you are a part of a community of over 2,500 amazing alumni. As Stephen Gaynor School continues its fifth decade of providing transformative education, we aim to reconnect with the incredible alumni who have helped shape the Stephen Gaynor School that exists today. I hope that you enjoy the site and visit often. I look forward to hearing from all of you soon!